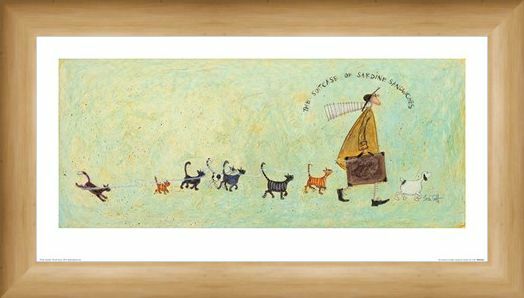 Following the scent of what smells like a jolly good lunch, this long line of moggies are after 'The Suitcase of Sardines Sandwiches'! 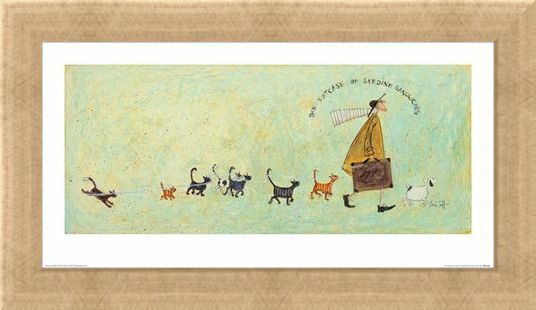 Off for a day out with his best four-legged friend Doris, Mr Hemingway Mustard has popped on his wide brimmed hat, stripey scarf and yellow rain coat, packing a few bits and bobs to munch on for when the tummies start to rumble! 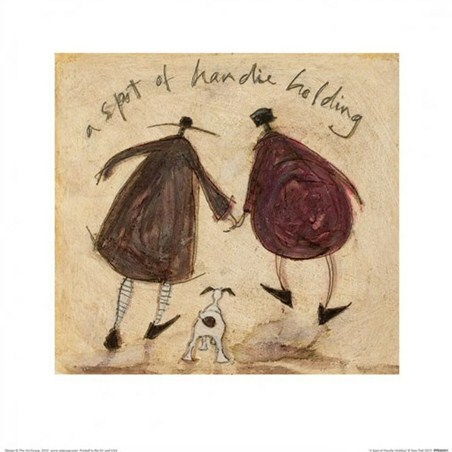 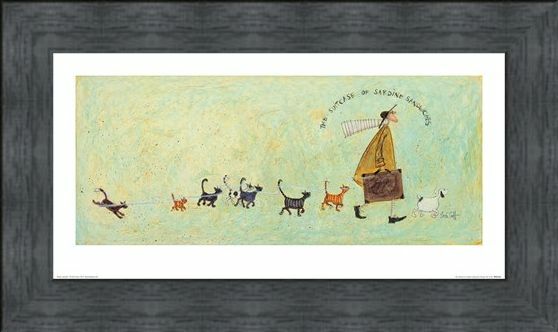 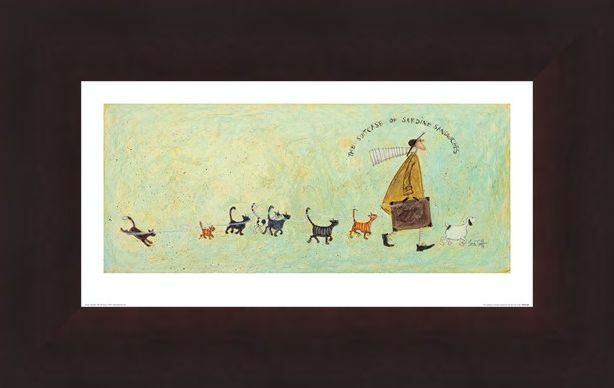 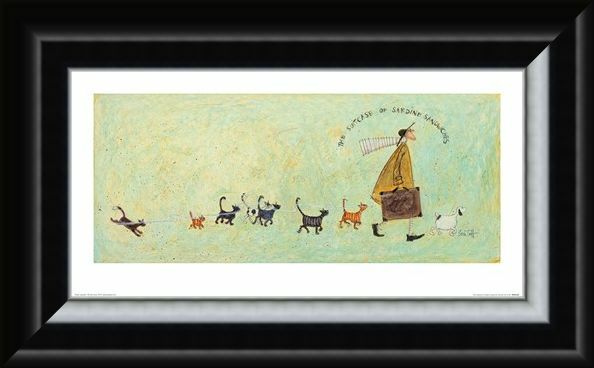 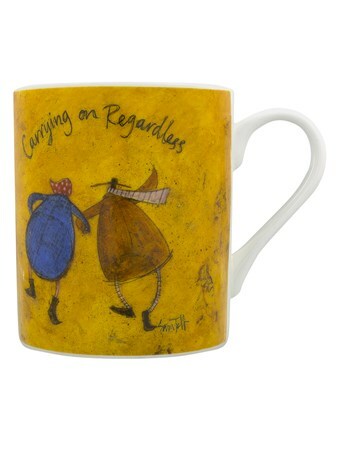 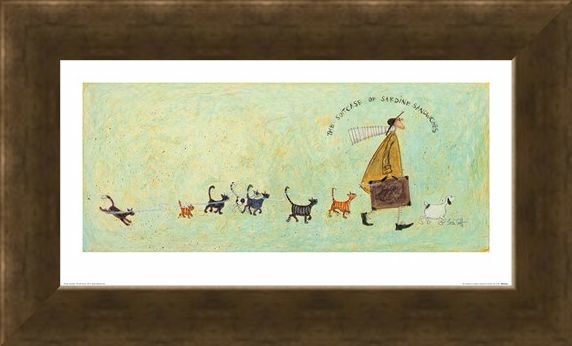 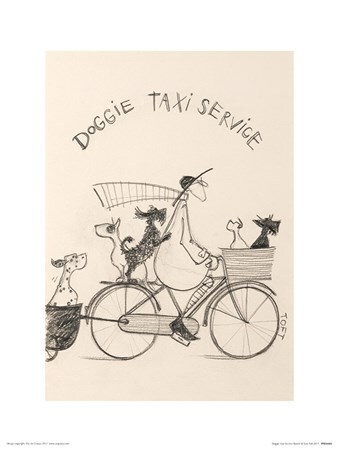 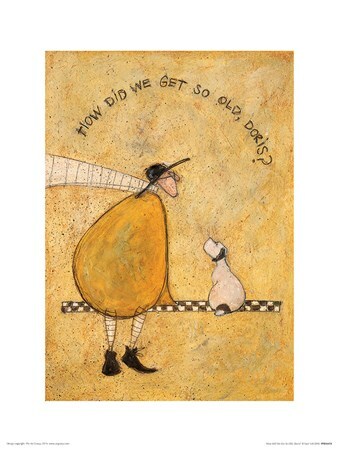 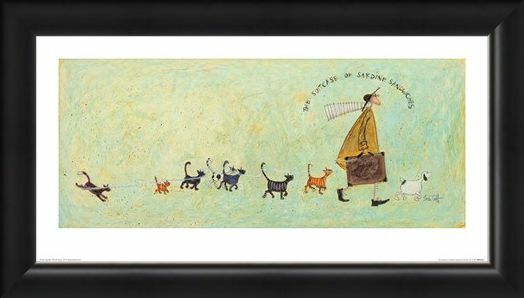 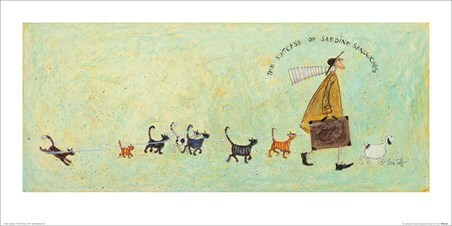 Gloriously endearing with that innocent humour as always, this Sam Toft print is sure to bring life and laughter to your home!